YVETTE HEYLIGER is a playwright, producing artist, and activist. 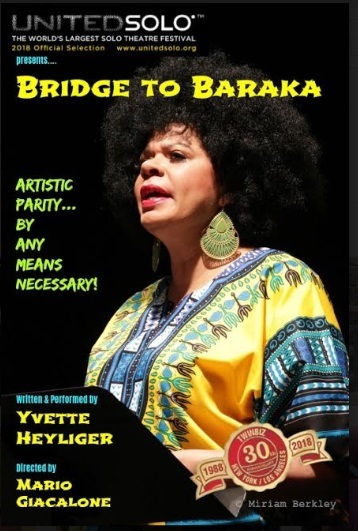 After many years in front of the footlights, Heyliger returns to the stage as a solo-artist in her first one-woman show, Bridge to Baraka, in the United Solo Theatre Festival on Theatre Row in New York City. She is the recipient of AUDELCO Recognition Award for Excellence in Black Theatre’s August Wilson Playwright Award and her play won Dramatic Production of the Year. She received Best Playwright nomination from NAACP’s Annual Theatre Awards. Author of What a Piece of Work is Man! Full-Length Plays for Leading Women, she has also contributed to various anthologies including, The Monologue Project, Later Chapters: The Best Scenes and Monologues for Actors over Fifty and 24 Gun Control Plays. Selections from her play, Autobiography of a Homegirl, appear in Smith and Kraus’ The Best Women’s Stage Monologues 2003 and The Best Stage Scenes 2003. 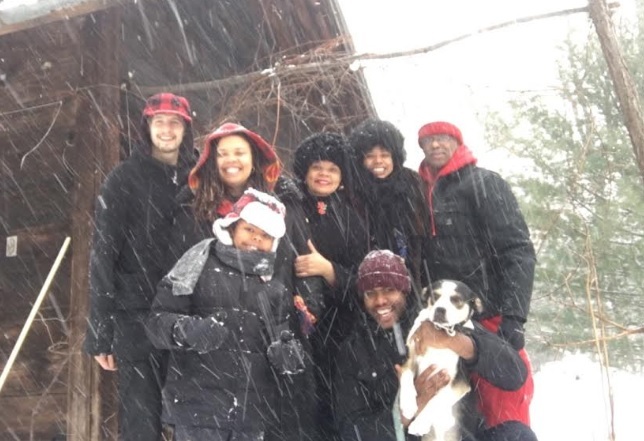 Other writings: The Dramatist, Continuum: The Journal of African Diaspora Drama, Theatre and Performance, Black Masks: Spotlight on Black Art, HowlRound, and a new blog, The Playwright and The Patron. Memberships: Dramatist Guild, AEA, SDC, AFTRA-SAG and League of Professional Theatre Women. Yvette has a BA and MA from New York University; an MFA in Creative Writing - Playwriting from Queens College; and a Master of Theatre Education from Hunter College. She was an Obama Fellow and is a founding member and longtime volunteer with Organizing for Action. As a citizen-artist, she has worked on many issues including: gun violence prevention, equal opportunity and pay for women artists, and most recently, the #MeToo movement. A producing artist and partner in Twinbiz™, she is the co-recipient of the first National Black Theatre Festival Emerging Producer Award. Now celebrating its 30th year, Twinbiz™ writes, directs and produces original works for stage which seek to educate and entertain in the service of social change. Yvette lives in Harlem, USA. I write better than anything else: letters, online and print articles for journals and magazines, community newspapers, essays, e-mails/e-blasts, blog posts... but especially plays. I started out in the business as an actor though. I didn’t discover I had a talent for playwriting until graduate school. I devoted myself fully playwriting after marrying, while raising my family. Writing plays and self-producing went hand in hand almost from the beginning. 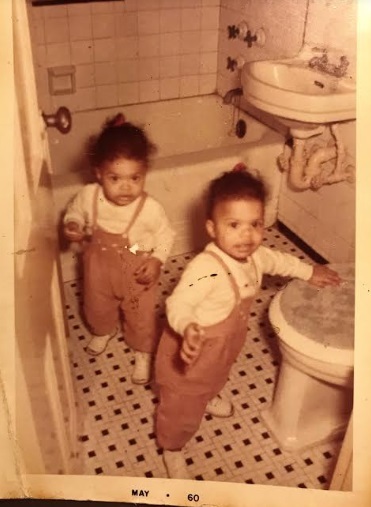 My twin sister and I got a DBA and hung up our shingle as producing artists. 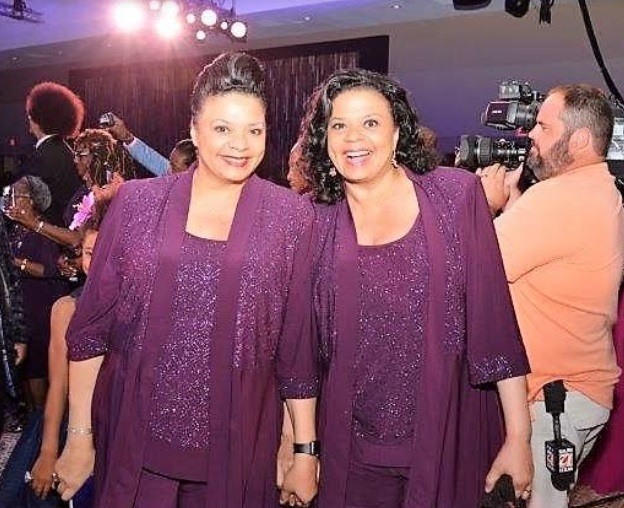 Now celebrating its 30th year, Twinbiz™ writes, directs and produces original works for stage and screen which seek to educate and entertain in the service of social change. I realized I had found my calling—to be a playwright—when, while writing a play about HIV and the black church, I experienced God working through me, guiding my hand, and leading me to the angels I needed to support the creation of the work. This blessing came in the form of: a chance meeting with an artistic director of a theatre who suggested I write a play about HIV/AIDS in our community at a time when Harlem was the epicenter of the disease in New York State; receiving a grant to write said play; being led to women living with HIV who were willing to tell me their stories; finding a precious few courageous pastors doing the work of HIV education in their churches when it was taboo to do so, and who welcomed me and my desire as an artist to educate the community about the epidemic in an unconventional way; the unfolding of characters, story line, setting, healing Bible verses, dialogues, monologues—all coming to me during the writing of the play, as well as the lyrics to the theme song; a community based organization to partner with for a grant to produce the first pubic reading of the play; a wonderful composer, leading actress and definitive casts… the list goes on. Perhaps most important, as a vehicle for HIV education, the show was universal. Anyone who sees the play, no matter their faith, can take from it the message of prevention. Seeing the audience reaction to the play was particularly fulfilling. Audiences laughed, they cried, they talked back to the characters on stage, they sang along, and they came back again and again to see the show. If this were not enough, to have that very same show sweep the AUDELCO Recognition Awards for Excellence in Black Theatre that year, including winning the August Wilson Playwright Award and Dramatic Production of the Year, was astonishing and unexpected. It meant so much to me for my work to be recognized in this way. Experiencing one’s self as a vehicle for God’s work is very humbling. It means you have to get out of the way... “and do what Jesus would do”. A woman, black, and now middle-aged, I have met many obstacles in my life, but somehow manage to keep going. I received an email the other day in response to an e-blast newsletter I sent out about current projects I am engaged in, both as a playwright and as a performing artist. The email said, “Fantastic! Love this, and am deeply impressed with your courage and persistence.” Oddly, these are the words that have been used to describe me, as well as fair, empathetic, conscientious, idealistic and patriotic. Life is pretty challenging, but in light of this (or in spite of this), I would agree with my sister who says that the best versions of myself (in terms of my work) can be seen and heard in the plays I have written—plays which are alive and breathing before a receptive and appreciative audience, as well as on the written page. My plays are little pieces of me, shining a light in a dark place or exposing some well-worn but relentless issue in a new way. In terms of my personal life, the best version of me is when I am standing solidly in my truth, unshakeable and knowing that God is working through me; and then doing whatever it takes to honor and protect that truth. A regular meditation or Mindfulness practice helps achieve this goal. The challenge of my life has been to remember and remain steadfast in the knowledge of who I am, instead of shrinking or making myself smaller so that others feel more comfortable. I think when you make yourself small or commit acts of betrayal against yourself; you are not honoring God within you. OK, we all know that it is nearly 2020 already; the year which marks the 100th anniversary of women getting the right to vote. The Equal Rights Amendment still has not been passed and women theatre artists still have not achieved equal pay and opportunity in the American Theatre. In 2015, The Count, an ongoing study by the Lilly Awards in partnership with the Dramatists Guild, announced that 14% of American white women playwrights were produced in the United States. Outrageous right? But wait, it gets worse. Only 3.4% of American women of color were produced! It would appear that my acceptance speech needs to be projected further into the future, maybe even another hundred years, to 2120. So, when you ask what I aspire to, it would be that—to have the playing field leveled for not just future generations of women artists; but for future generations of women period (as well as other unprotected groups). I have been a self-producing artist most of my life and I’ve had a good run. I am ready now to welcome a literary agent into my life who can help introduce me and my work to regional theatres around the country. I want to tour my one-woman show, Bridge to Baraka, heading into 2020. I want to position myself to take a leap to a new and next level in this industry beyond that of the battle-worn but noble, self-producing artist. I want to unlace those bootstraps, put on some heels, and walk across the stage to receive an industry recognized award—not because I need it, but because this type of recognition (hopefully) begets production opportunities which get me closer to supporting myself as an artist. More than 80% of women playwrights still can’t do that and some have to leave the industry. In terms of a. PERSONAL aspirations, I would like to: return to a regular meditation (or Mindfulness) practice; nurture and support my home as a holy place; get in better physical and vocal shape to perform my one-woman show at this new age and in this “new” body; have monthly family dinners with my daughters, their spouses, and my grandson; teach my grandson the importance of taking time in an over-scheduled world to do “nothing”; visit our many National Parks before they are completely destroyed by deregulation and climate change; prepare for the inevitable home going that we all face, by throwing out many years’ worth of papers and clutter; and finally, create space (inside and out) … to write a new play. I have been an artist my whole life, a calling that only few are lucky enough to make a living at. I know that this choice was a huge sacrifice for my family. As I started getting older, I realized that I needed to find a parallel career to the arts which would afford me the financial stability needed to take care of me and my husband (when he retires). For me, teaching was a natural parallel career choice because my work as an artist blends education (or raising awareness) and entertainment. Moreover, teaching is in my maternal family’s DNA. I have worked as a teaching artist. My oldest daughter is a first grade teacher who recently got her masters in special education and my youngest daughter tutors high school students preparing to take the SAT. My great grandmother’s mother was a teacher. I remember how Granny always spoke about her mother with such pride. Back then, being a teacher carried a lot of weight and commanded the respect and reverence of students and parents alike. If my calculations are correct, my great-great grandmother taught school at a time in America’s history when former slaves and their children, were filling the precious few classrooms that existed to the brim, they were so thirsty for education. Fast forward to the new millennium, I answered the call issued by Chancellor Carmen Fariña and Mayor Bill de Blasio to put arts professionals into the New York City public school system full-time. As a lifelong artist, I felt honored to serve; to share the art form that I love so much—theatre—with students. However, as a brand new teacher in a fast-track program, I was shocked by what I quickly discovered to be a very broken and segregated NYC public school system. The job was traumatic for me—from what I experienced in the classroom, to how I was treated by an administration with no patience for a first-year teacher. Everything that makes you a great artist makes you vulnerable and a target in this setting. In fairness, there were a few bright moments when I felt like I was making a difference, but they were far and few between. So, I find myself at my “most challenging moment”. Do I stay or do I go? My heartstrings are pulled because these are the schools and these are the children that need the arts the most, especially in today’s world. The first I share with my husband, Donald—ensuring that our daughters, Stella and Faith, received a good education, went to college, and got married. They both chose good men—Fitsum and Zachary—two for two! My grandson, Zelalem, is my heart. And as bonus blessing, I am very proud and honored that my youngest daughter, Faith, has taken after her mother; she is a writer—a poet! Another success is seeing the effect my plays have had on audiences. Even better has been seeing my family seeing the effect my plays have had on audiences. To have my husband and daughters look at me with such pride, seeing first-hand that my work is serving, as well as entertaining, has made it all worth it. Another measure of success is that I was asked if I would accept a year of patronage from someone who has followed me as an artist over the years and who has admired my dogged determination to make it in this business. She believes that this is my time. Having someone believe in you so much that they offer you not just financial support but through their actions, confirmation that you have something to offer to the theatre is priceless. Read more about this in a blog that I started, The Playwright and the Patron. And finally, finishing my book, What a Piece of Work Is Man! Full-Length Plays for Leading Women. Publishing is so important, especially for women. It says, “I was here and I had something to say; I had something to offer to the American theatre!” My grandson (and future generations) will have his grandmother with him always in the form of her published plays. It took me a little over ten years to finish the collection which includes my full-length plays, four of which were selected for mainstage production at the prestigious National Black Theatre Festival. Having been selected to have my plays in this festival which showcases the best of black theatre from across the country is another huge measure of success. The collection also includes reviews, definitive cast lists, artistic statements, production photographs, music, and a few surprises like one of the letters I received from President Obama. My great grandmother, would read passages from the Bible to me and my sisters and when we learned to read, we took turns reading passages to her. I remember one passage in particular which said, “The kingdom of God is within,” but I didn’t understand it because I hadn’t had an experience of it. I was blessed to have an experience of this scripture when I was baptized as a teen-ager, but it went away the next day. As a young adult I discovered meditation. I found my meditation teacher or guru and received initiation (the awakening of the meditation or kundalini energy). I had a direct experience of God within. I learned that this experience is accessible to me at any time—all I have to do is meditate. My mantra is, “God dwells within me as me” in short, “God and I are one”. An adage which has shaped my life is the Golden Rule: Do Unto Others as You Would Have Them Do Unto You. To lead with kindness; to do no harm, to serve my fellow man using my gifts and talents; and to see God in everyone (even in my family! ); these guiding values have influenced how I have moved through the world my entire life. President Barack Obama. I love him so much. And I love him not just because he is the first African American president (which I can hardly believe I was privileged to witness in my lifetime!) but because he possesses all the virtues necessary for this office. President Obama is a true public servant, always looking to improve the lives of America’s citizens. From a healthy economy, to healthy citizens, to a healthy environment and beyond, President Obama always put America first. True to his oath, he “faithfully executed the Office of the President of the United States and to the best of his ability, protected and defended the Constitution of the United States”. Equally important to being a good president, he is a good husband and father… oh, and he loves the arts! Now, post-presidency, President and Mrs. Obama (another favorite person!) are activating a new generation of citizenry through their work with the Obama Foundation whose mission is to “inspire, empower and connect people to change their world”. As a playwright I enjoy writing about American “royalty”, our presidents and their first lady’s. I have two plays—one about the Clintons called Hillary and Monica: The Winter of Her Discontent and the other about the Bushes called White House Wives: Operation Lysistrata. I confess, however, that I was thrilled that President Obama left the White House scandal-free so I didn’t have to write about him! Other favorite people include my childhood friend Jo Hilda and my sister-from-another-mother, Pam. But my absolute favorite person is my twin sister, Yvonne. She is multi-talented, hard-working, smart, tenacious, loyal, principled and most of all, she is golden-hearted. Nature couldn’t have chosen a better friend and confidante for me to split an egg with. I talk to her everyday—sometimes twice a day. I’m told that, when we were babies in the crib, we talked to each other for hours, in our own language. My role model is my meditation teacher and guru. She is the embodiment of service, surrender and steadfastness on the path to enlightenment. She is the lotus flower on the muddy pond of the mixed blessing that is America. I may not be able to change the course of events or right all the wrongs, but I have learned that I can change my response. I can be the witness; I too can be the lotus flower while working for the common good. Pilgrimage: A journey or search of moral or spiritual significance. Typically, it is a journey to a shrine or other location of importance to a person's beliefs and faith, although sometimes it can be a metaphorical journey into someone's own beliefs. I made a pilgrimage to India to visit the ashram of my guru, and my guru’s guru. The ashram is a place where chanting, meditation and selfless service are practiced. I had the great good fortune to immerse myself in the Shakti (or spiritual energy) that permeates this holy place because of the practices which have been offered there by seekers over many, many years. I was indeed fortunate to offer the practices in the ashram myself. To be able to do this is a gift and speaks volumes about the good merit one has accumulated over lifetimes. I made a pilgrimage to Africa, the cradle of civilization, at the invitation of my brother-in-law, Larry Farrow, a composer (and a professor at that time), to document his research on the music of our ancestors. I knelt and kissed the ground after de-boarding the plane in Senegal, West Africa. While in that country we visited Gorrée Island, home of the House of Slaves with its Door of No Return, a museum and memorial to the Atlantic slave trade. After an emotional tour, we said a prayer for the millions of souls who were lost to slavery over three centuries, and took our leave. Our guide told us about a place where the spirt who protects the island, Mame Coumba Costa, dwells. My sister and I wanted to pay homage to that place, so he took us. We passed through a trellis-like entryway made of stone leading to a path which took us to the other side of the island. The words written on it said, “Eternel Regne de Dieu Sur Terre” which means, Eternal Reign of God on Earth. When we reached our destination, my sister and I sat on the rocky terrain that was the coast. We offered a chant to the spirit of Mame Coumba Costa, who we experienced in the form of the waves crashing against the rocks, splashing us with her blessings. I made a pilgrimage to Greece, the birthplace of Western Drama, to work as an assistant to the director of a show inspired by a tragic hero of Greek mythology. There were many historic sites I was privileged to see during my stay: Delphi, the most important site for ocular wisdom in the classical Greek world; ancient Olympia, where the Olympic Games originated; Mycenae, home of the Tomb of Agamemnon; and Epidavros, the most well preserved of the open-air ancient Greek theatres still in use today. But visiting the Theatre of Dionysius, which sits along the southern slopes at the foot of the Acropolis, was the most meaningful. The Theatre of Dionysius is said to be the first theatre in the world. Central to their lives, theatre was a form of worship for the Greeks. It was in this holy place where Aeschylus, Sophocles, Euripides and Aristophanes had their plays performed—that I had a reading of my play White House Wives: Operation Lysistrata. Inspired by Aristophanes’ Lysistrata, actress Pam Jusino and I read my play, alternating parts sitting on the very rock, rubble and limestone Aristophanes first had his play performed. My favorite product is lipstick, preferably red. I feel naked without it. My favorite object is the typewriter—manual or electric. I was probably one of the last writers to give up it up, I was so attached. Ever since I learned how to type in a high school typing class, I was hooked. Going from writing things out longhand to typing was not better or worse, just different. Each had its place. But, I fully embraced typing. I loved loading the paper; moving the carriage return manually, or if it was an electric typewriter, hitting the return key and watching the carriage bang into place; hearing the clacking of the keys with each stroke; using erasable bond paper and a pencil eraser or correction fluid or correction paper made for use with the electric typewriter—all these ways to correct my mistakes; cutting, pasting or taping passages of text together; and finally, holding these precious hard-won pages, filled with my words. When the “PC” or personal computer became a common fixture in American homes, I held out as long as I could before taking the plunge to buy one. Now, I don’t know how I wrote my plays without one. I don’t really understand what happens inside of me that makes working on the typewriter so different than word processing. I wasn’t so quick to edit myself like I am on the computer, that’s for sure. I really took time to consider it because of what I had to go through just to make a correction or edit… Anyway, it’s a similar dilemma I am facing now with e-books. How do I give up “real” books—the weight of them in my hand, the act of turning the page and dog-earring the corners so I don’t lose my place, and not having charge it to read it. How do I give up such a gratifying tactile experience with a real book for an e-book? I guess I’ll get there one day, but today is not that day. My passion is service. I’ve been practicing this, in one way or another, my whole life: my sisters and I were Girl Scouts; we accompanied our mother to volunteer on city council and mayoral campaigns; and I offer service in the ashram. As an Obama Fellow working on the re-election campaign, one of the inspirational quotes in our training manual really stood out to me. President Obama said, “It's only when you hitch your wagon to something larger than yourself that you realize your true potential.” My current passions have me hitched to these wagons: passing the Equal Rights Amendment; equal pay and opportunity for all women regardless of race (because even though women in general make less money than men, black women and other women of color, make less than white women); raising the minimum wage to a living wage; common sense gun reform; electing the first woman president; and continuing my work as an artist because if they succeed in silencing journalists, who do you think they are coming for next? Artists.